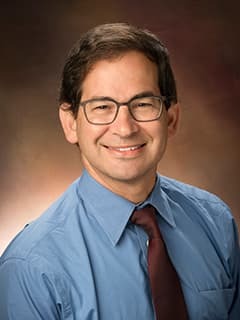 Jonathan Spergel, MD, PhD, is Chief of the Allergy Section at Children's Hospital of Philadelphia. He holds the Stuart E Starr Chair of Pediatrics. Kennedy K, Heimall J, Spergel JM. Advances in Atopic Dermatitis in 2017. J Allergy Clin Immunol. 2018 Oct 22. pii: S0091-6749(18)31480-5. doi: 10.1016/j.jaci.2018.10.012. [Epub ahead of print] PubMed PMID: 30359683. Shaker M, Yuan I, Kennedy KL, Capucilli P, Spergel JM. Idiopathic Anaphylaxis and Undiagnosed Anorexia Nervosa. Ann Allergy Asthma Immunol. 2018 Oct 20. pii: S1081-1206(18)31315-2. doi: 10.1016/j.anai.2018.10.017. [Epub ahead of print] PubMed PMID: 30352289. Hill DA, Spergel JM. Epithelial acid imbalance in eosinophilic esophagitis. J Allergy Clin Immunol. 2018 Oct 10. pii: S0091-6749(18)31435-0. doi: 10.1016/j.jaci.2018.09.026. [Epub ahead of print] PubMed PMID: 30315831. 21;9:2057. doi: 10.3389/fimmu.2018.02057. eCollection 2018. PubMed PMID: 30298065; PubMed Central PMCID: PMC6160556. Muir A, Moore H, Spergel J. To treat or not to treat: The minimally symptomatic EoE patient. Ann Allergy Asthma Immunol. 2018 Oct 5. pii: S1081-1206(18)31291-2. doi: 10.1016/j.anai.2018.09.468. [Epub ahead of print] PubMed PMID: 30296478. Wang KY, Lee J, Cianferoni A, Ruffner MA, Dean A, Spergel JM, et al. Food Protein-Induced Enterocolitis Syndrome Food Challenges: Experience from a Large Referral Center. J Allergy Clin Immunol Pract. 2018 Sep 20. pii: S2213-2198(18)30585-3. doi: 10.1016/j.jaip.2018.09.009. [Epub ahead of print] PubMed PMID: 30243880. Ruffner MA, Spergel JM. Pediatric eosinophilic esophagitis: updates for the primary care setting. Curr Opin Pediatr. 2018 Sep 20. doi: 10.1097/MOP.0000000000000698. [Epub ahead of print] PubMed PMID: 30239371. Leigh LY, Spergel JM. An In-Depth Characterization of a Large Cohort of Adults Patients with Eosinophilic Esophagitis. Ann Allergy Asthma Immunol. 2018 Sep 14. pii: S1081-1206(18)31198-0. doi: 10.1016/j.anai.2018.09.452. [Epub ahead of print] PubMed PMID: 30223114. Wright BL, Spergel JM. Eosinophilic Esophagitis. J Allergy Clin Immunol Pract. 2018 Sep - Oct;6(5):1799-1801. doi: 10.1016/j.jaip.2018.06.019. PubMed PMID: 30197073. Capucilli P, Cianferoni A, Grundmeier RW, Spergel JM. Comparison of comorbid diagnoses in children with and without eosinophilic esophagitis in a large population. Ann Allergy Asthma Immunol. 2018 Sep 6. pii: S1081-1206(18)30744-0. doi: 10.1016/j.anai.2018.08.022. [Epub ahead of print] PubMed PMID: 30194971. Ruffner MA, Henrickson SE, Chilutti M, Grundmeier R, Spergel JM, Brown-Whitehorn TF. Improving allergy office scheduling increases patient follow up and reduces asthma readmission after pediatric asthma hospitalization. Ann Allergy Asthma Immunol. 2018 Nov;121(5):561-567. doi: 10.1016/j.anai.2018.08.015. Epub 2018 Aug 28. PubMed PMID: 30170026. Capucilli P, Cianferoni A, Fiedler J, Gober L, Pawlowski N, Spergel JM, et al. Differences in egg and milk food challenge outcomes based on tolerance to the baked form. Ann Allergy Asthma Immunol. 2018 Nov;121(5):580-587. doi: 10.1016/j.anai.2018.07.018. Epub 2018 Jul 21. PubMed PMID: 30036581. Spergel JM, Dellon ES, Liacouras CA, Hirano I, Molina-Infante J, Bredenoord AJ, Furuta GT; participants of AGREE. Summary of the updated international consensus diagnostic criteria for eosinophilic esophagitis: AGREE conference. Ann Allergy Asthma Immunol. 2018 Sep;121(3):281-284. doi: 10.1016/j.anai.2018.05.035. Epub 2018 Jul 18. PubMed PMID: 30030146; PubMed Central PMCID: PMC6139263. Godwin B, Liacouras C, Mehta V, Eisenberg J, Agawu A, Spergel JM, et al. A Review of Tertiary Referrals for Management of Pediatric Esophageal Eosinophilia. Front Pediatr. 2018 Jun 20;6:173. doi: 10.3389/fped.2018.00173. eCollection 2018. PubMed PMID: 29974044; PubMed Central PMCID: PMC6019483. Hill DA, Camargo CA Jr, Paller AS, Spergel JM. A march by any other name. Ann Allergy Asthma Immunol. 2018 Jul;121(1):137-138. doi: 10.1016/j.anai.2018.04.014. PubMed PMID: 29960636. Hill DA, Grundmeier RW, Ramos M, Spergel JM. Eosinophilic Esophagitis Is a Late Manifestation of the Allergic March. J Allergy Clin Immunol Pract. 2018 Sep - Oct;6(5):1528-1533. doi: 10.1016/j.jaip.2018.05.010. Epub 2018 Jun 25. PubMed PMID: 29954692; PubMed Central PMCID: PMC6131029. Warren CM, Zaslavsky JM, Kan K, Spergel JM, Gupta RS. Epinephrine auto-injector carriage and use practices among US children, adolescents, and adults. Ann Allergy Asthma Immunol. 2018 Oct;121(4):479-491. doi: 10.1016/j.anai.2018.06.010. Epub 2018 Jun 21. PubMed PMID: 29936229. Aceves SS, King E, Collins MH, Yang GY, Capocelli KE, Spergel JM, et al. Alignment of parent-and child-reported outcomes and histology in eosinophilic esophagitis across multiple CEGIR sites. J Allergy Clin Immunol. 2018 Jul;142(1):130-138.e1. doi: 10.1016/j.jaci.2018.05.014. Epub 2018 May 29. PubMed PMID: 29852258; PubMed Central PMCID: PMC6035777. Spergel JM, Aceves SS, Kliewer K, Gonsalves N, Chehade M, Wechsler JB, et al. New developments in patients with eosinophilic gastrointestinal diseases presented at the CEGIR/TIGERS Symposium at the 2018 American Academy of Allergy, Asthma & Immunology Meeting. J Allergy Clin Immunol. 2018 Jul;142(1):48-53. doi: 10.1016/j.jaci.2018.05.005. Epub 2018 May 24. PubMed PMID: 29803797; PubMed Central PMCID: PMC6129859. Hasegawa K, Piedra PA, Bauer CS, Celedón JC, Mansbach JM, Spergel JM, et al. Nasopharyngeal CCL5 in infants with severe bronchiolitis and risk of recurrent wheezing: A multi-center rospective cohort study. Clin Exp Allergy. 2018 Aug;48(8):1063-1067. doi: 10.1111/cea.13166. Epub 2018 Jun 4. PubMed PMID: 29756403; PubMed Central PMCID: PMC6105518. Shoda T, Wen T, Aceves SS, Abonia JP, Atkins D, Spergel JM, et al. Eosinophilic oesophagitis endotype classification by molecular, clinical, and histopathological analyses: a cross-sectional study. Lancet Gastroenterol Hepatol. 2018 Jul;3(7):477-488. doi: 10.1016/S2468-1253(18)30096-7. Epub 2018 May 3. PubMed PMID: 29730081; PubMed Central PMCID: PMC5997568. Fahey LM, Guzek R, Ruffner MA, Sullivan KE, Spergel J, Cianferoni A. EMSY is increased and activates TSLP & CCL5 expression in eosinophilic esophagitis. Pediatr Allergy Immunol. 2018 Aug;29(5):565-568. doi: 10.1111/pai.12907. Epub 2018 May 29. PubMed PMID: 29663593. Lee J, Rodio B, Lavelle J, Lewis MO, English R, Spergel JM, et al. Improving Anaphylaxis Care: The Impact of a Clinical Pathway. Pediatrics. 2018 May;141(5). pii: e20171616. doi: 10.1542/peds.2017-1616. Epub 2018 Apr 3. PubMed PMID: 29615480. Hiremath G, Kodroff E, Strobel MJ, Scott M, Book W, Spergel JM, et al. Individuals affected by eosinophilic gastrointestinal disorders have complex unmet needs and frequently experience unique barriers to care. Clin Res Hepatol Gastroenterol. 2018 Oct;42(5):483-493. doi: 10.1016/j.clinre.2018.03.003. Epub 2018 Mar 31. PubMed PMID: 29615329; PubMed Central PMCID: PMC6167209. Shaker M, Stukus D, Chan ES, Fleischer DM, Spergel JM, Greenhawt M. "To screen or not to screen": Comparing the health and economic benefits of early peanut introduction strategies in five countries. Allergy. 2018 Aug;73(8):1707-1714. doi: 10.1111/all.13446. Epub 2018 May 24. PubMed PMID: 29601091. Kasagi Y, Chandramouleeswaran PM, Whelan KA, Tanaka K, Giroux V, Spergel JM, et al. The Esophageal Organoid System Reveals Functional Interplay Between Notch and Cytokines in Reactive Epithelial Changes. Cell Mol Gastroenterol Hepatol. 2018 Jan 3;5(3):333-352. doi: 10.1016/j.jcmgh.2017.12.013. eCollection 2018 Mar. PubMed PMID: 29552622; PubMed Central PMCID: PMC5852293. Fahey LM, Chandramouleeswaran PM, Guan S, Benitez AJ, Furuta GT, Spergel JM, et al. Food allergen triggers are increased in children with the TSLP risk allele and eosinophilic esophagitis. Clin Transl Gastroenterol. 2018 Mar 6;9(3):139. doi: 10.1038/s41424-018-0003-x. PubMed PMID: 29511165; PubMed Central PMCID: PMC5862152. Hill DA, Spergel JM. Is eosinophilic esophagitis a member of the atopic march? Ann Allergy Asthma Immunol. 2018 Feb;120(2):113-114. doi: 10.1016/j.anai.2017.10.003. Erratum in: Ann Allergy Asthma Immunol. 2018 Feb 19;:. PubMed PMID: 29413330. Petroni D, Spergel JM. Eosinophilic esophagitis and symptoms possibly related to eosinophilic esophagitis in oral immunotherapy. Ann Allergy Asthma Immunol. 2018 Mar;120(3):237-240.e4. doi: 10.1016/j.anai.2017.11.016. Epub 2018 Feb 1. PubMed PMID: 29397272. Cheng K, Gupta SK, Kantor S, Kuhl JT, Aceves SS, Spergel JM, et al. Creating a multi-center rare disease consortium - the Consortium of Eosinophilic Gastrointestinal Disease Researchers (CEGIR). Transl Sci Rare Dis. 2017 Dec 18;2(3-4):141-155. doi: 10.3233/TRD-170016. PubMed PMID: 29333363; PubMed Central PMCID: PMC5757645. Muraro A, Fernandez-Rivas M, Beyer K, Cardona V, Clark A, Spergel JM, et al. The urgent need for a harmonized severity scoring system for acute allergic reactions. Allergy. 2018 Sep;73(9):1792-1800. doi: 10.1111/all.13408. Epub 2018 Jun 17. PubMed PMID: 29331045. Shreffler WG, Baumert JL, Remington BC, Koppelman SJ, Dinakar C, Spergel JM, et al. The importance of reducing risk in peanut allergy: Current and future therapies. Ann Allergy Asthma Immunol. 2018 Feb;120(2):124-127. doi: 10.1016/j.anai.2017.10.038. Epub 2017 Dec 28. PubMed PMID: 29289463. Cianferoni A, Ruffner MA, Guzek R, Guan S, Brown-Whitehorn T, Muir A, Spergel JM. Elevated expression of activated T(H)2 cells and milk-specific T(H)2 cells in milk-induced eosinophilic esophagitis. Ann Allergy Asthma Immunol. 2018 Feb;120(2):177-183.e2. doi: 10.1016/j.anai.2017.11.006. Epub 2017 Dec 28. PubMed PMID: 29289462; PubMed Central PMCID: PMC5875940. Bird JA, Spergel JM, Jones SM, Rachid R, Assa'ad AH, Wang J, et al. Efficacy and Safety of AR101 in Oral Immunotherapy for Peanut Allergy: Results of ARC001, a Randomized, Double-Blind, Placebo-Controlled Phase 2 Clinical Trial. J Allergy Clin Immunol Pract. 2018 Mar - Apr;6(2):476-485.e3. doi: 10.1016/j.jaip.2017.09.016. Epub 2017 Oct 31. PubMed PMID: 29092786. Hill DA, Leahy AB, Sciasci J, O'Neill SP, Reilly A, Balamuth N, Spergel JM, et al. Reply to: Medication contaminants as a potential cause of anaphylaxis to vincristine: What about drug specific antigens? Pediatr Blood Cancer. 2018 Feb;65(2). doi: 10.1002/pbc.26868. Epub 2017 Oct 19. PubMed PMID: 29049863; PubMed Central PMCID: PMC5739934. Mondoulet L, Kalach N, Dhelft V, Larcher T, Delayre-Orthez C, Spergel JM, et al. Treatment of gastric eosinophilia by epicutaneous immunotherapy in piglets sensitized to peanuts. Clin Exp Allergy. 2017 Dec;47(12):1640-1647. doi: 10.1111/cea.13037. Epub 2017 Oct 20. PubMed PMID: 28960628. Davis DM, Borok J, Udkoff J, Lio P, Spergel J. Atopic dermatitis: phototherapy and systemic therapy. Semin Cutan Med Surg. 2017 Sep;36(3):118-123. doi: 10.12788/j.sder.2017.027. PubMed PMID: 28895958. Ahluwalia J, Davis DM, Jacob S, Waldman A, Ong PY, Spergel JM, et al. Atopic dermatitis: addressing allergy, infection, itch and complementary therapies. Semin Cutan Med Surg. 2017 Sep;36(3):112-117. doi: 10.12788/j.sder.2017.038. PubMed PMID: 28895957. Davis DM, Waldman A, Jacob S, LeBovidge J, Ahluwalia J, Spergel JM, et al. Diagnosis, comorbidity, and psychosocial impact of atopic dermatitis. Semin Cutan Med Surg. 2017 Sep;36(3):95-99. doi: 10.12788/j.sder.2017.028. PubMed PMID: 28895954. Eichenfield LF, Ahluwalia J, Davis DM, Fleischer DM, Waldman A, Spergel J. Curriculum United for Better Eczema Care: why, how, and what? Semin Cutan Med Surg. 2017 Sep;36(3):93-94. doi: 10.12788/j.sder.2017.033. PubMed PMID: 28895953. Hill DA, Leahy AB, Sciasci J, O'Neill SP, Reilly A, Spergel JM, et al. Medication contaminants as a potential cause of anaphylaxis to vincristine. Pediatr Blood Cancer. 2018 Jan;65(1). doi: 10.1002/pbc.26761. Epub 2017 Aug 22. PubMed PMID: 28834048; PubMed Central PMCID: PMC5978699. Ruffner MA, Brown-Whitehorn TF, Verma R, Cianferoni A, Gober L, Spergel JM, et al. Clinical tolerance in eosinophilic esophagitis. J Allergy Clin Immunol Pract. 2018 Mar - Apr;6(2):661-663. doi: 10.1016/j.jaip.2017.06.035. Epub 2017 Aug 12. PubMed PMID: 28811175; PubMed Central PMCID: PMC5809321. Nowak-Wegrzyn A, Spergel JM. Food protein-induced enterocolitis syndrome: Not so rare after all! J Allergy Clin Immunol. 2017 Nov;140(5):1275-1276. doi: 10.1016/j.jaci.2017.07.020. Epub 2017 Aug 7. PubMed PMID: 28797735. Cianferoni A, Saltzman R, Saretta F, Barni S, Dudek E, Kelleher M, Spergel JM. Invariant natural killer cells change after an oral allergy desensitization protocol for cow's milk. Clin Exp Allergy. 2017 Nov;47(11):1390-1397. doi: 10.1111/cea.12975. Epub 2017 Aug 23. PubMed PMID: 28685970. Heimall J, Spergel JM. New pathways for itching in patients with atopic dermatitis? J Allergy Clin Immunol. 2017 Aug;140(2):393-394. doi: 10.1016/j.jaci.2017.06.004. Epub 2017 Jun 23. PubMed PMID: 28652154. Menard-Katcher C, Benitez AJ, Pan Z, Ahmed FN, Wilkins BJ, Spergel JM, et al. Influence of Age and Eosinophilic Esophagitis on Esophageal Distensibility in a Pediatric Cohort. Am J Gastroenterol. 2017 Sep;112(9):1466-1473. doi: 10.1038/ajg.2017.131. Epub 2017 May 16. PubMed PMID: 28508868; PubMed Central PMCID: PMC5601317. Togias A, Cooper SF, Acebal ML, Assa'ad A, Baker JR Jr, Spergel JM, et al. Addendum Guidelines for the Prevention of Peanut Allergy in the United States: Summary of the National Institute of Allergy and Infectious Diseases-Sponsored Expert Panel. J Acad Nutr Diet. 2017 May;117(5):788-793. doi: 10.1016/j.jand.2017.03.004. PubMed PMID: 28449793. Nowak-Węgrzyn A, Chehade M, Groetch ME, Spergel JM, Wood RA, et al. International consensus guidelines for the diagnosis and management of food protein-induced enterocolitis syndrome: Executive summary-Workgroup Report of the Adverse Reactions to Foods Committee, American Academy of Allergy, Asthma & Immunology. J Allergy Clin Immunol. 2017 Apr;139(4):1111-1126.e4. doi: 10.1016/j.jaci.2016.12.966. Epub 2017 Feb 4. PubMed PMID: 28167094. Togias A, Cooper SF, Acebal ML, Assaʼad A, Baker JR Jr, Spergel JM, et al. Addendum guidelines for the prevention of peanut allergy in the United States. JAAPA. 2017 Mar;30(3):1-5. doi: 10.1097/01.JAA.0000512231.15808.66. PubMed PMID: 28151739. Togias A, Cooper SF, Acebal ML, Assa'ad A, Baker JR Jr, Spergel JM, et al. Addendum Guidelines for the Prevention of Peanut Allergy in the United States: Report of the National Institute of Allergy and Infectious Diseases-Sponsored Expert Panel. J Pediatr Nurs. 2017 Jan - Feb;32:91-98. doi: 10.1016/j.pedn.2016.12.006. PubMed PMID: 28137368. Togias A, Cooper SF, Acebal ML, Assa'ad A, Baker JR Jr, Spergel JM, et al. Addendum guidelines for the prevention of peanut allergy in the United States: Report of the National Institute of Allergy and Infectious Diseases-sponsored expert panel. Ann Allergy Asthma Immunol. 2017 Feb;118(2):166-173.e7. doi: 10.1016/j.anai.2016.10.004. Epub 2017 Jan 5. PubMed PMID: 28065802. Togias A, Cooper SF, Acebal ML, Assa'ad A, Baker JR Jr, Spergel JM, et al. Addendum Guidelines for the Prevention of Peanut Allergy in the United States: Report of the National Institute of Allergy and Infectious Diseases-Sponsored Expert Panel. Pediatr Dermatol. 2017 Jan;34(1):e1-e21. doi: 10.1111/pde.13093. PubMed PMID: 28054723. Togias A, Cooper SF, Acebal ML, Assa'ad A, Baker JR Jr, Spergel JM, et al. Addendum guidelines for the prevention of peanut allergy in the United States: Summary of the National Institute of Allergy and Infectious Diseases-sponsored expert panel. Pediatr Dermatol. 2017 Jan;34(1):5-12. doi: 10.1111/pde.13092. PubMed PMID: 28054718. Hill DA, Dudley JW, Spergel JM. The Prevalence of Eosinophilic Esophagitis in Pediatric Patients with IgE-Mediated Food Allergy. J Allergy Clin Immunol Pract. 2017 Mar - Apr;5(2):369-375. doi: 10.1016/j.jaip.2016.11.020. Epub 2016 Dec 30. PubMed PMID: 28042003; PubMed Central PMCID: PMC5346349. Greenhawt M, Fleischer DM, Chan ES, Venter C, Stukus D, Gupta R, Spergel JM. LEAPing through the looking glass: secondary analysis of the effect of skin test size and age of introduction on peanut tolerance after early peanut introduction. Allergy. 2017 Aug;72(8):1254-1260. doi: 10.1111/all.13100. Epub 2017 Mar 22. PubMed PMID: 27896827; PubMed Central PMCID: PMC5447487. MacGinnitie AJ, Rachid R, Gragg H, Little SV, Lakin P, Spergel JM, et al. Omalizumab facilitates rapid oral desensitization for peanut allergy. J Allergy Clin Immunol. 2017 Mar;139(3):873-881.e8. doi: 10.1016/j.jaci.2016.08.010. Epub 2016 Sep 5. PubMed PMID: 27609658; PubMed Central PMCID: PMC5369605. Hill DA, Grundmeier RW, Ram G, Spergel JM. The epidemiologic characteristics of healthcare provider-diagnosed eczema, asthma, allergic rhinitis, and food allergy in children: a retrospective cohort study. BMC Pediatr. 2016 Aug 20;16:133. doi: 10.1186/s12887-016-0673-z. PubMed PMID: 27542726; PubMed Central PMCID: PMC4992234. Muir AB, Wang ML, Metz D, Falk G, Markowitz J, Spergel JM, Liacouras CA. Proton pump inhibitor-responsive oesophageal eosinophilia: too early to change clinical practice. Gut. 2017 May;66(5):979-980. doi: 10.1136/gutjnl-2016-312601. Epub 2016 Jul 26. PubMed PMID: 27464706; PubMed Central PMCID: PMC5568693. Tuttle KL, Schneider TR, Henrickson SE, Morris D, Abonia JP, Spergel JM, Laidlaw TM. Aspirin-exacerbated respiratory disease: not always "adult-onset". J Allergy Clin Immunol Pract. 2016 Jul-Aug;4(4):756-8. doi: 10.1016/j.jaip.2016.05.016. PubMed PMID: 27393784; PubMed Central PMCID: PMC5461917. Schneider L, Hanifin J, Boguniewicz M, Eichenfield LF, Spergel JM, Dakovic R, Paller AS. Study of the Atopic March: Development of Atopic Comorbidities. Pediatr Dermatol. 2016 Jul;33(4):388-98. doi: 10.1111/pde.12867. Epub 2016 Jun 7. PubMed PMID: 27273433; PubMed Central PMCID: PMC5649252. Greenhawt M, Fleischer DM, Spergel JM. Is It Time for a Randomized Trial on Early Introduction of Milk? J Allergy Clin Immunol Pract. 2016 May-Jun;4(3):489-90. doi: 10.1016/j.jaip.2016.03.013. PubMed PMID: 27157938. Lee J, Shuker M, Brown-Whitehorn T, Cianferoni A, Gober L, Spergel JM, et al. Oral viscous budesonide can be successfully delivered through a variety of vehicles to treat eosinophilic esophagitis in children. J Allergy Clin Immunol Pract. 2016 Jul-Aug;4(4):767-8. doi: 10.1016/j.jaip.2016.02.005. Epub 2016 Mar 26. PubMed PMID: 27025298. Chandramouleeswaran PM, Shen D, Lee AJ, Benitez A, Dods K, Spergel JM, et al. Preferential Secretion of Thymic Stromal Lymphopoietin (TSLP) by Terminally Differentiated Esophageal Epithelial Cells: Relevance to Eosinophilic Esophagitis (EoE). PLoS One. 2016 Mar 18;11(3):e0150968. doi: 10.1371/journal.pone.0150968. eCollection 2016. PubMed PMID: 26992000; PubMed Central PMCID: PMC4798725. Whelan KA, Merves JF, Giroux V, Tanaka K, Guo A, Spergel JM, et al. Autophagy mediates epithelial cytoprotection in eosinophilic oesophagitis. Gut. 2017 Jul;66(7):1197-1207. doi: 10.1136/gutjnl-2015-310341. Epub 2016 Feb 16. PubMed PMID: 26884425; PubMed Central PMCID: PMC4987278. Merves JF, Whelan KA, Benitez AJ, Muir AB, Furuta GT, Spergel JM, et al. ATG7 Gene Expression as a Novel Tissue Biomarker in Eosinophilic Esophagitis. Am J Gastroenterol. 2016 Jan;111(1):151-3. doi: 10.1038/ajg.2015.404. PubMed PMID: 26785669; PubMed Central PMCID: PMC4725062. Muir AB, Dods K, Henry SJ, Benitez AJ, Lee D, Spergel JM, et al. Eosinophilic Esophagitis-Associated Chemical and Mechanical Microenvironment Shapes Esophageal Fibroblast Behavior. J Pediatr Gastroenterol Nutr. 2016 Aug;63(2):200-9. doi: 10.1097/MPG.0000000000001100. PubMed PMID: 26727658; PubMed Central PMCID: PMC4929044. Kliewer KL, Venter C, Cassin AM, Abonia JP, Aceves SS, Spergel JM, et al. Should wheat, barley, rye, and/or gluten be avoided in a 6-food elimination diet? J Allergy Clin Immunol. 2016 Apr;137(4):1011-1014. doi: 10.1016/j.jaci.2015.10.040. Epub 2015 Dec 24. PubMed PMID: 26725190; PubMed Central PMCID: PMC4826834. Spergel JM, Boguniewicz M, Schneider L, Hanifin JM, Paller AS, Eichenfield LF. Food Allergy in Infants With Atopic Dermatitis: Limitations of Food-Specific IgE Measurements. Pediatrics. 2015 Dec;136(6):e1530-8. doi: 10.1542/peds.2015-1444. PubMed PMID: 26598458. Safroneeva E, Straumann A, Coslovsky M, Zwahlen M, Kuehni CE, Spergel JM, et al. Symptoms Have Modest Accuracy in Detecting Endoscopic and Histologic Remission in Adults With Eosinophilic Esophagitis. Gastroenterology. 2016 Mar;150(3):581-590.e4. doi: 10.1053/j.gastro.2015.11.004. Epub 2015 Nov 14. PubMed PMID: 26584601; PubMed Central PMCID: PMC6011000. Katz Y, Nowak-Węgrzyn A, Spergel JM. Prevalence of biphasic response in anaphylaxis due to purposeful administration of allergenic food. Ann Allergy Asthma Immunol. 2015 Dec;115(6):526-7. doi: 10.1016/j.anai.2015.09.002. Epub 2015 Oct 1. PubMed PMID: 26427969. Fleischer DM, Sicherer S, Greenhawt M, Campbell D, Chan E, Spergel JM, et al. Consensus Communication on Early Peanut Introduction and Prevention of Peanut Allergy in High-Risk Infants. Pediatr Dermatol. 2016 Jan-Feb;33(1):103-6. doi: 10.1111/pde.12685. Epub 2015 Sep 10. PubMed PMID: 26354148. Ram G, Cianferoni A, Spergel JM. Food allergy to uncommonly challenged foods is rare based on oral food challenge. J Allergy Clin Immunol Pract. 2016 Jan-Feb;4(1):156-7.e5. doi: 10.1016/j.jaip.2015.07.017. Epub 2015 Sep 3. PubMed PMID: 26342742. E, Spergel JM, et al. Consensus Communication on Early Peanut Introduction and the Prevention of Peanut Allergy in High-risk Infants. Pediatrics. 2015 Aug 31. pii: peds.2015-2394. [Epub ahead of print] PubMed PMID: 26324871. Cianferoni A, Spergel JM. From genetics to treatment of eosinophilic esophagitis. Curr Opin Allergy Clin Immunol. 2015 Oct;15(5):417-25. doi: 10.1097/ACI.0000000000000200. PubMed PMID: 26258919; PubMed Central PMCID: PMC4910818. Ram G, Lee J, Ott M, Brown-Whitehorn TF, Cianferoni A, Spergel JM, et al. Seasonal exacerbation of esophageal eosinophilia in children with eosinophilic esophagitis and allergic rhinitis. Ann Allergy Asthma Immunol. 2015 Sep;115(3):224-228.e1. doi: 10.1016/j.anai.2015.07.004. Epub 2015 Jul 30. PubMed PMID: 26235409. Li J, Fung I, Glessner JT, Pandey R, Wei Z, Spergel JM, et al. Copy Number Variations in CTNNA3 and RBFOX1 Associate with Pediatric Food Allergy. J Immunol. 2015 Aug 15;195(4):1599-607. doi: 10.4049/jimmunol.1402310. Epub 2015 Jul 17. PubMed PMID: 26188062. Fleischer DM, Sicherer S, Greenhawt M, Campbell D, Chan E, Spergel JM, et al. Consensus communication on early peanut introduction and the prevention of peanut allergy in high-risk infants. Allergy. 2015 Oct;70(10):1193-5. doi: 10.1111/all.12687. PubMed PMID: 26148305. Fleischer DM, Sicherer S, Greenhawt M, Campbell D, Chan E, Spergel JM, et al. Consensus communication on early peanut introduction and the prevention of peanut allergy in high-risk infants. Ann Allergy Asthma Immunol. 2015 Aug;115(2):87-90. doi: 10.1016/j.anai.2015.06.001. Epub 2015 Jun 27. PubMed PMID: 26122934. Benitez AJ, Hoffmann C, Muir AB, Dods KK, Spergel JM, Bushman FD, Wang ML. Inflammation-associated microbiota in pediatric eosinophilic esophagitis. Microbiome. 2015 Jun 1;3:23. doi: 10.1186/s40168-015-0085-6. eCollection 2015. PubMed PMID: 26034601; PubMed Central PMCID: PMC4450515. Merves J, Chandramouleeswaran PM, Benitez AJ, Muir AB, Lee AJ, Spergel JM, et al. Altered esophageal histamine receptor expression in Eosinophilic Esophagitis (EoE): implications on disease pathogenesis. PLoS One. 2015 Feb 27;10(2):e0114831. doi: 10.1371/journal.pone.0114831. eCollection 2015. PubMed PMID: 25723478; PubMed Central PMCID: PMC4344302. Hill DA, Shuker M, Cianferoni A, Wong T, Ruchelli E, Spergel JM, Brown-Whitehorn TF. The development of IgE-mediated immediate hypersensitivity after the diagnosis of eosinophilic esophagitis to the same food. J Allergy Clin Immunol Pract. 2015 Jan-Feb;3(1):123-4. doi: 10.1016/j.jaip.2014.08.005. Epub 2014 Oct 3. PubMed PMID: 25577634; PubMed Central PMCID: PMC5598762. Gupta M, Grossmann LD, Spergel JM, Cianferoni A. Egg Food Challenges are Associated with More Gastrointestinal Reactions. Children (Basel). 2015 Aug 17;2(3):371-81. doi: 10.3390/children2030371. PubMed PMID: 27417370; PubMed Central PMCID: PMC4928765. Spergel JM. New genetic links in eosinophilic esophagitis. Genome Med. 2010 Sep 7;2(9):60. [Epub ahead of print] Read abstract. Brown-Whitehorn TF, Spergel JM. The link between allergies and eosinophilic esophagitis: implications for management strategies. Expert Rev Clin Immunol. 2010 Jan;6(1):101-9. Review. Read abstract. Sleiman PM, Flory J, Imielinski M, Bradfield JP, Annaiah K, Willis-Owen SA, Wang K, Rafaels NM, Michel S, Bonnelykke K, Zhang H, Kim CE, Frackelton EC, Glessner JT, Hou C, Otieno FG, Santa E, Thomas K, Smith RM, Glaberson WR, Garris M, Chiavacci RM, Beaty TH, Ruczinski I, Orange JM, Allen J, Spergel JM, Grundmeier R, Mathias RA, Christie JD, von Mutius E, Cookson WO, Kabesch M, Moffatt MF, Grunstein MM, Barnes KC, Devoto M, Magnusson M, Li H, Grant SF, Bisgaard H, Hakonarson H. Variants of DENND1B associated with asthma in children. N Engl J Med. 2010 Jan 7;362(1):36-44. Epub 2009 Dec 23. Erratum in: N Engl J Med. 2010 Sep 2;363(10):994. Read abstract. Rothenberg ME, Spergel JM, Sherrill JD, Annaiah K, Martin LJ, Cianferoni A, Gober L, Kim C, Glessner J, Frackelton E, Thomas K, Blanchard C, Liacouras C, Verma R, Aceves S, Collins MH, Brown-Whitehorn T, Putnam PE, Franciosi JP, Chiavacci RM, Grant SF, Abonia JP, Sleiman PM, Hakonarson H. Common variants at 5q22 associate with pediatric eosinophilic esophagitis. Nat Genet. 2010 Apr;42(4):289-91. Epub 2010 Mar 7. Read abstract. Franciosi JP, Fiorino K, Ruchelli E, Shults J, Spergel J, Liacouras CA, Leonard M. Changing Indications for Upper Endoscopy in Children During a 20-year Period. J Pediatr Gastroenterol Nutr. 2010 Jun 16. [Epub ahead of print] Read abstract. Spergel JM, Beausoleil JA, Mascarenhas MR, Liacouras CA. The use of prick skin tests and patch tests to identify causative foods in eosinophilic esophagitis [abstract]. American Association of Allergy, Asthma & Immunology Annual Meeting; 2002; New York, NY. Perez E, Spergel, JM. Rice-protein induced enterocolitis [abstract]. American College of Asthma Immunology and Asthma Annual Meeting, San Antonio, Texas, 2002. Andrews T, Fielder J, Spergel JM. “New” soy allergy in 12-year-old boy [abstract]. American College of Asthma Immunology and Asthma Annual Meeting, San Antonio, Texas, 2002. Spergel JM, Nurse N, Taylor P, ParneixSpake A. Effect of topical pimecrolimus on epicutaneous skin testing [abstract]. European Academy of Dermatology and Venerology Annual Meeting; 2004; Florence, Italy. Fogg MI, Spergel, JM. 2005. Atopy patch testing in food-protein induced enterocolitis [abstract]. American Association of Allergy, Asthma & Immunology Annual Meeting; 2005; San Antonio, TX. J. Allergy Clin. Immunol. 2005; 115 (2) 55. Spergel JM, Schnieder LC. Atopic dermatitis [review]. Internet J. of Allergy and Immunol. 1997; 1(1) 1-8. Spergel JM, Pawlowski NA. Food allergy. In: Mascarenhas M, Piccoli D, editors. Gastrointestinal disease. Ped. Clinic of North America. 2001; 49(1): 73-96. Spergel JM, Fiedler JM. Natural history of peanut allergy. Curr Opin in Pediatr. 2001; (6): 517-22. Spergel JM, Clayton R. Pediatric asthma: a review. Biomedicina. 2002; 5 (3): 117-24. Sullivan KE, Spergel JM, editors. Genetics of allergic and immunoregulatory disorders. Immunology and Allergy Clinics of North America. 2002; 22 (2). Spergel JM. Allergen-Induced Model of Murine Atopic Dermatitis” in Animal Models of Human Inflammatory Diseases, CRC publishers, 2003. Chapter 28: 423-32. Spergel, JM. Atopic march: link to upper airways. Curr Opin Allergy Clin Immunol. 2005; 5(1): 17-21. Spergel, JM and T Brown-Whitehorn. The Use of Patch Testing in the Diagnosis of Food Allergies. Current Allergy and Asthma Reports 2005; 5: 86-90. Spergel, JM and JF Fiedler. “Foods/Food Additives” in Asthma Triggers. Immunol Allergy Clin North Am. 2005; 25(1): 149-67. Spergel, J, ME Rothenberg, and M. Fogg. Eliminating Eosinophilic Esophagitis. Clin. Immunol. 2005; 115(2) 131-2. Fonacier, L, JM Spergel, EN Charlesworth, E Wheldon, V Beltani, J Bernhisel-Broadbent, M Boguniewicz, and DY Leung. Report of the Topical Calcineurin Inhibitor Task Force of the ACAAI and AAAAI. April 1, 2005. J. Allergy Clin. Immunol. 2005; 115: 1249-53. Spergel, JM Eosinophilic oesophagitis and pollen. Clin Exp Allergy. 2005; 35(11):1421-2. Spergel, JM, T Brown-Whitehorn, J Beausoleil, and CA Liacouras. Author’s Response to Editorial on Atopy Patch Testing in Eosinophilic Esophagitis, Ann Allergy Asthma Immunol 2006; 96 (2): 376-8. Yan, AC, Lauren, C, Honig, PJ and JM Spergel. “Atopic Dermatitis” in Comprehensive Pediatric Hospital Medicine. Editors, LA Zaoutis, VW Chaing. Elsevier Publishers, Philadelphia, PA2007. Chapter 155: 981-990. Heltzer, M and JM Spergel. “Asthma” in Comprehensive Pediatric Hospital Medicine. Editors, LA Zaoutis, VW Chaing. Elsevier Publishers, Philadelphia, PA2007. Chapter 75: 463-481. Akdis, CA, M Akdis, T,Bieber, C Bindslev-Jensen, M Boguniewicz, P Eigenmann, Q Hamid, A Kapp, DYM Leung, J Lipozencic, TA Luger, A Muraro, N Novak, TA E Platts-Mills, L Rosenwasser, A Scheynius, FER Simons, J Spergel, K Turjanmaa, U Wahn, S Weidinger, T Werfel, and T Zuberbier. Diagnosis and treatment of atopic dermatitis in children and adults: European Academy of Allergy and Clinical Immunology/American Academy of Allergy Asthma and Immunology/Practall Consensus Report, J. Allergy Clin Immunol 2006 118 (1): 152-169 and Allergy. 2006 61(8):969-87. Leung, DY and Spergel, JM, Safety of TIM (Topical Calcineurin Immune Modulators) in Atopic Dermatitis: Evaluation of the Evidence/Should we be Concerned?, Curr Allergy Asthma Rep. 2006 6(4):270-4. Fonancier, L, E, Charlesworth, JM Spergel and DY Leung. The Black Box Warning for Topical Calcineurin Inhibitors: Looking outside the Box. Ann Allergy Asthma Immunol 2006; 97(1):117-20. Spergel, J.M. Eosinophilic esophagitis in adults and children: evidence for a food allergy component in many patients, Current Opin in Allergy Clin Immunol, 2007 Jun;7(3):274-278. Furuta, GT, Liacouras, CA, Collins, MH, Gupta, SK, Justinich, C, Putnam, PE, Bonis, P, Hassall, E, Straumann, A, Rothenberg, ME, First International Gastrointestinal Eosinophil Research Symposium (FIGERS) Subcommittees. Eosinophilic esophagitis in children and adults: a systematic review and consensus recommendations for diagnosis and treatment. Gastroenterology. 2007 Oct;133(4):1342-63. Epub 2007 Aug 8. Spergel, JM and Shuker, M. Nutritional management of eosinophilic esophagitis. Gastrointest Endosc Clin N Am. 2008 Jan;18(1):179-94.